Honey is a naturally delicious, whole food that should be considered part of a healthy balanced diet. Honey has a low glycaemic index compared to processed sugar and contains valuable vitamins, minerals and flavonoids. We make no claim for any anti septic or anti biotic effect of the honey, preferring to concentrate on organic products certified and audited to an internationally recognised standard. Manuka Honey is a honey produced from the nectar of Manuka Tree. 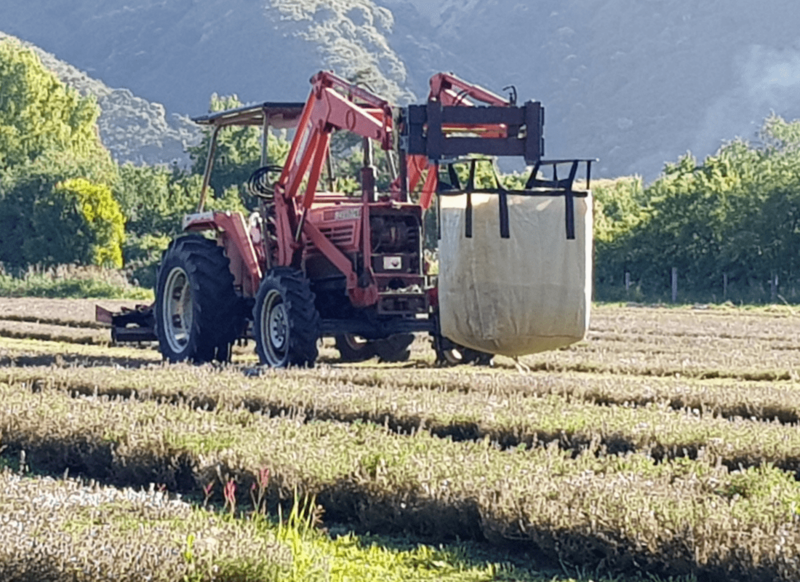 Our Manuka honey, a monofloral Manuka honey, is harvested from the foothills and sub alpine slopes of the Seaward Kaikoura Mountains, Marlborough, South Island, New Zealand. Like all of Mountainhoney’s products, it is Certified Organic by AsureQuality NZ. The Manuka Honey must be tested and pass the Manuka Honey Science Definition test as specified by the Ministry of Primary Industries. They have designated a combination of 5 attributes (4 chemicals, 1 DNA marker from manuka pollen) to be required to authenticate mono-floral and multi-floral manuka honey. In simple terms mono-floral means that the principal constituents of the tested honey predominantly come from the nectar of manuka flowers. To the beekeeper this is verification that beehives placed in areas of predominant manuka flowering and boxes harvested at the end of the manuka honey flow (around mid-January) contain genuine manuka honey. 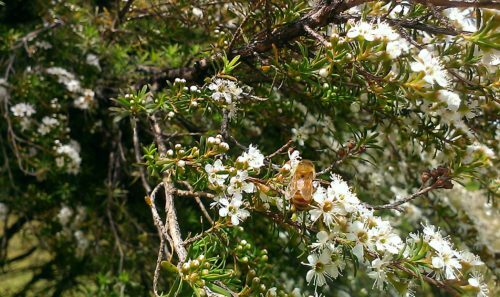 The term multi-floral indicates a proportion of manuka honey gathered by the bees during the honey flow period but can contain other sources of nectar from flowering plants at the same time. Therefore, harvested combs of honey can contain a mixture or blend of honey that is not a single source. Does Our Manuka Honey Pass the Test? 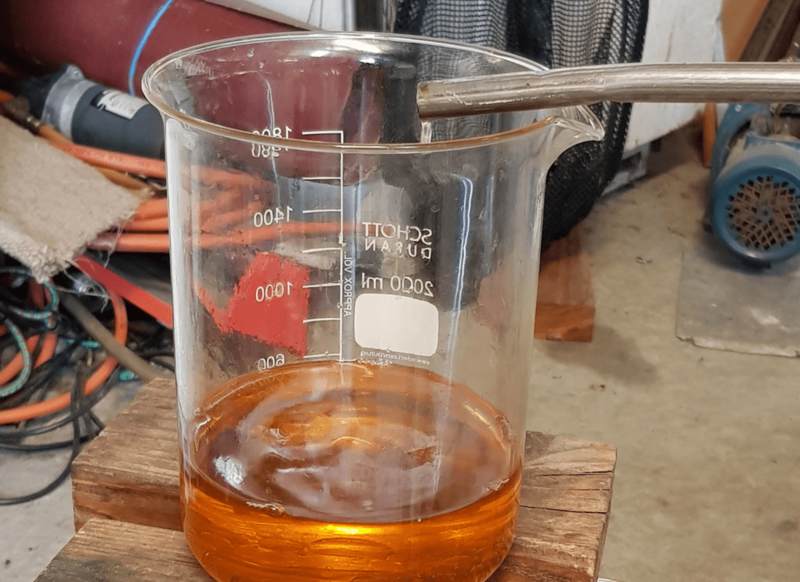 The honey harvested by Mountainhoney in the Kaikoura region qualifies as mono-floral according to laboratory tests and comparison to the MPI Manuka Science Definition. This gives us and our customers confidence that we have produced genuine manuka honey. This enables us to legitimately and legally label our honey as manuka. Seasonal differences may alter the test results from year to year but still must conform to the MPI definition to be called Manuka honey. ​ *Lab Number 1951332.2; 28 March 2018; RJ Hill Laboratories Ltd.
As can be seen from the chart above the Mountainhoney results all qualify for the MPI Scientific Definition as mono-floral (single source predominant) genuine manuka honey. “Alpenblend” is the name of a honey product from Mountainhoney, the Kaikoura beekeeping and honey producing business based at Peketa. This honey is a skilful blend of two of New Zealand’s best monofloral varieties; Manuka and Blue Borage. Like all of Mountainhoney’s products, it is Certified Organic by AsureQuality NZ. Alpenblend is different as it is a measured blend of two monofloral honey varieties to capture a particular flavour, colour and texture. Alpenblend combines the best attributes of both honeys and satisfies an increasing demand for honey with some Manuka in it. The taste retains the complexity of both varieties with neither being dominant. It is not marketed as Manuka blend or Blue Borage blend but forms its own profile under its own trade marked name. The name “Alpenblend” is derived from the term “alpenglow” which refers to the golden light effect on mountains in early morning and late evening (photographers call this the “golden hour”). It is the only time during the day when the earth and sky merge or blend in the same light. Alpenblend also continues the mountain motif which is a signature selling point of the business. The golden glow in the new honey label’s mountain scene, represents the infusion of the two honey varieties from different sources; Manuka from the foothills of the Seaward Kaikoura Mountains and Blue Borage from the remote Clarence Valley high country. Try our Alpenblend on wholemeal, rye, sourdough or cassava fruit toast with a little peanut butter on the side, also a smear of Alpenblend on a thin slice of aged cheese on Roggebrood or pumpernickel bread is delicious, healthy and satisfying. 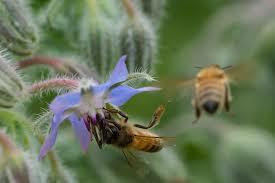 The Blue Borage Honey is a honey produced from the nectar of a little blue wild flower: the Blue Borage. This honey is from the Clarence Valley – a high country wilderness region of inland Kaikoura (New Zealand). In this valley, the borage plant (also known as “Vipers Bugloss”) thrives. Having a delicate flavour it is ideal as a substitute for sugar drinks, cooking, etc. This honey has been certified to an internationally recognised ORGANIC standart. This kind of honey can be creamed or liquid, depending of the time of the season. This honey is from the mountain Beechforests of Kaikoura (New Zealand). A unique – stonger flavour. As dew on the tree bark it is secreted via whiskers from scale insects which feed on the tree sap. Bees collect and store this dew like fluid, so called Honeydew. This honey has been certified to an internationally recognised ORGANIC standart. For public supply is very seasonal. The weather at the time of flowering each year dictates what flavours are produced. 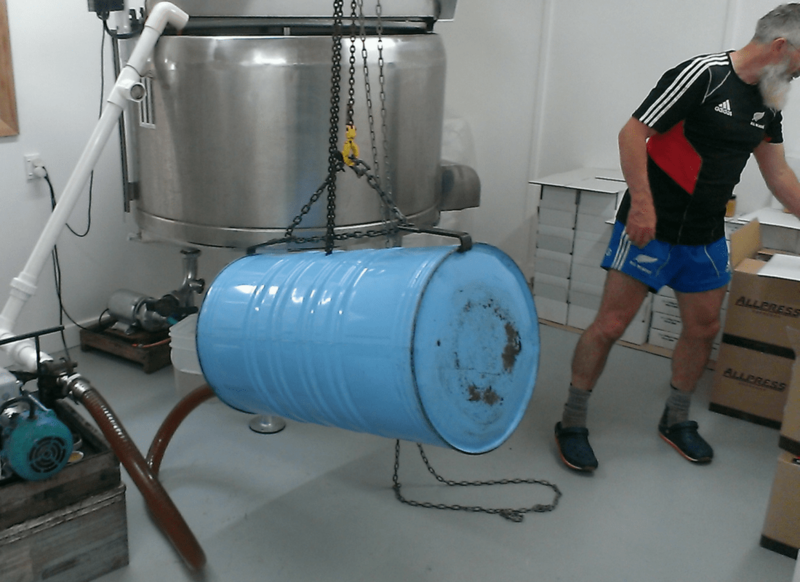 In Kaikoura the honey season can be anything from a 2-3 week window or in better seasons up to 6-8 weeks long. Not all types of flowers necessarily secrete nectar at the same time but there can be an overlap. Most flowers need warmth and sunshine to enable the bees to work collecting the nectar. This natures sweetness is then flown back to the hive, in some cases many kilometres in distance by the bees and on arrival at the hive it is stored in the wax comb and converted by the bees into what we know as honey. The health of the colony is most important. 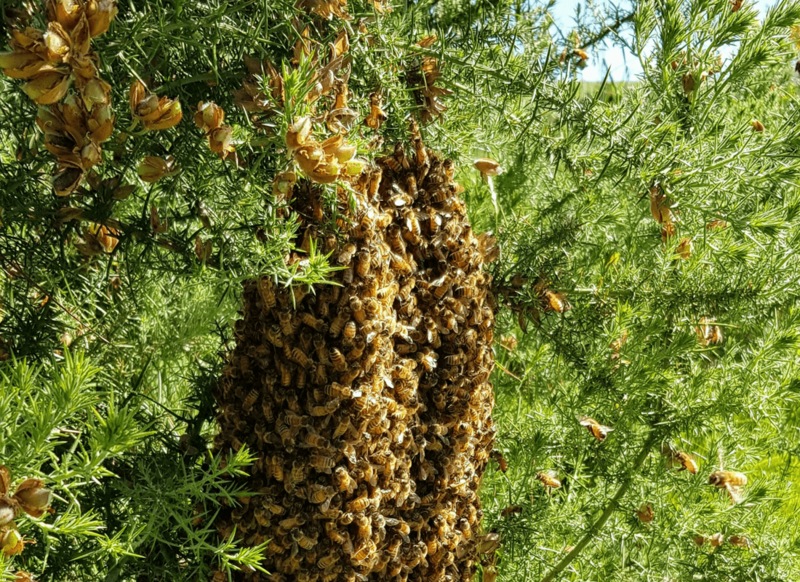 The job of the beekeeper is to work with the bees to ensure them the very best conditions in which they can grow in bee population and health, so their bee numbers can be at the optimum to coincide with summer floral flowering. 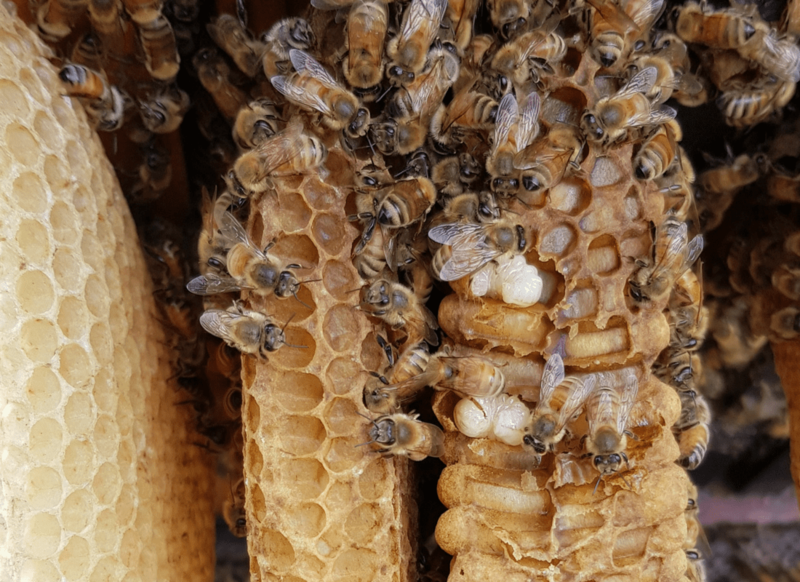 An understanding of hive husbandry by the beekeeper is vital if the beehive is to produce surplus honey stores to enable any excess for harvest, sale and human consumption. Many more external environment conditions are nowadays affecting the wellbeing of the beehive. Artificial chemical herbicides and insecticides used in other agricultural enterprises can outright kill bees encountering those areas sprayed. Monoculture practices in other food productions is reducing the diversity of flowers available for bees to forage in. 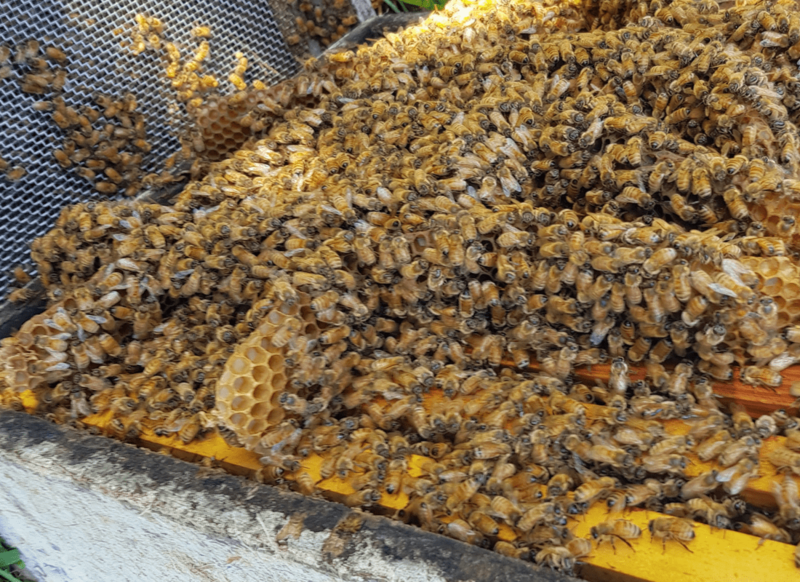 New Zealand wide there is now becoming issues of overstocking of hive numbers in many areas causing increased competition by bees for out-of-season (i.e. times other than the main summer nectar flow) natural food supplies of pollen and nectar. Pollen and the minerals they contain is the protein building blocks for bee brood to grow strong in bee numbers and the honey sustains the bee’s energy and life. This approach concentrates on the beekeeper allowing the natural process within the hive life-cycle being the least affected by any artificial inputs. We endeavour to leave enough honey and pollen supplies to last the hive throughout the winter from season to season. This has involved selected hive-site placement so out-of-season food sources have been available to supplement hive winter food stores. The use of ‘registered organic approved’ treatment for varroa mites is another aspect of recognising due care for the bees and the environment. The growing of certified organic thyme and distilling it for oil to use as a treatment for controlling mite outbreaks in hives is working as part of our hive management. Our production is from within the Kaikoura area; around the foot hills and slopes of the seaward Kaikoura mountains. These areas are predominately bush covered, with spring nectar flows of Kowhai, Five-finger, Native Fuchsia and the Cabbage Tree. 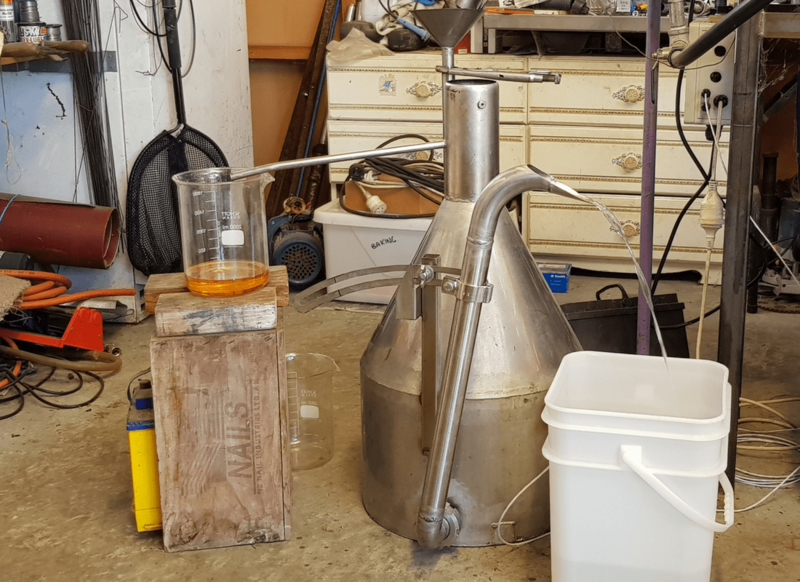 The main nectar flow being represented and tested to the Ministry of Primary Industries (MPI) definition – 5 attribute standard for Mono- Floral and Multi Floral – Manuka Honey. More tests for the quality of the honey are; moisture %, pollen % and others if required. Some types e.g. Blue Borage Honey come from the inland high country of the Kaikoura Mountain ranges. In collecting our hives honey, we tend to leave the boxes on the hives until the flow has finished or when the boxes of frames, having the comb fully capped, are ready for harvest and extraction back at the processing plant. 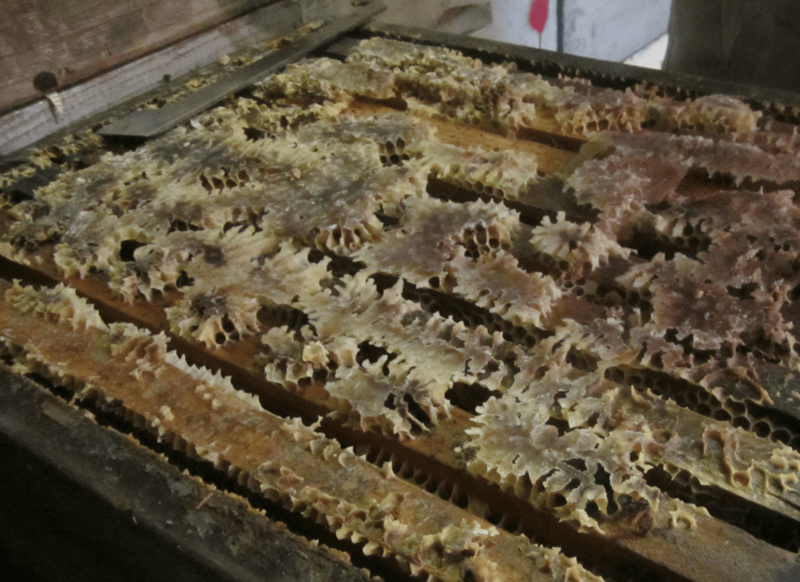 Hive bee-escapes boards are used so the bees vacate the honey boxes themselves over a 24-36hrs period. 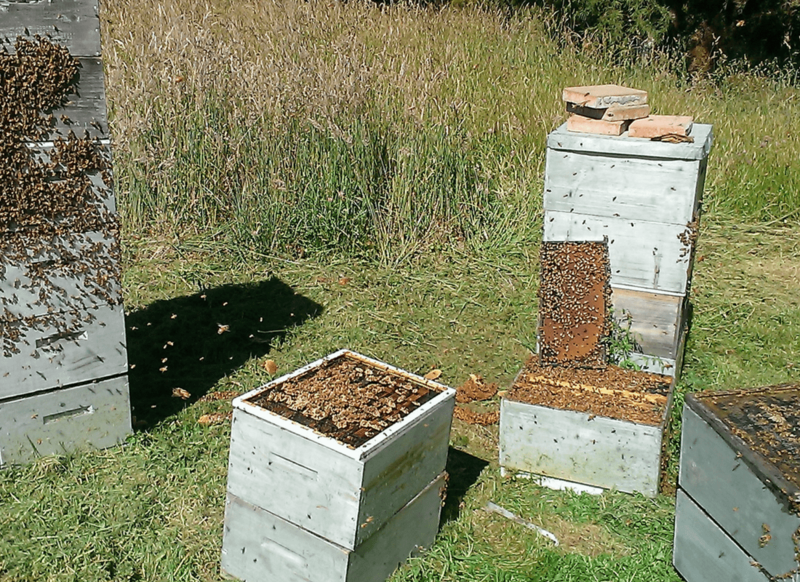 This method is not as disruptive to the bees in comparison to using a blower, that forces air to blow the bees from off the frames and out of the boxes. Back at base the honey-filled boxes are trucked in and loaded into a warm-room to keep the honey at around 30 degC temperature. 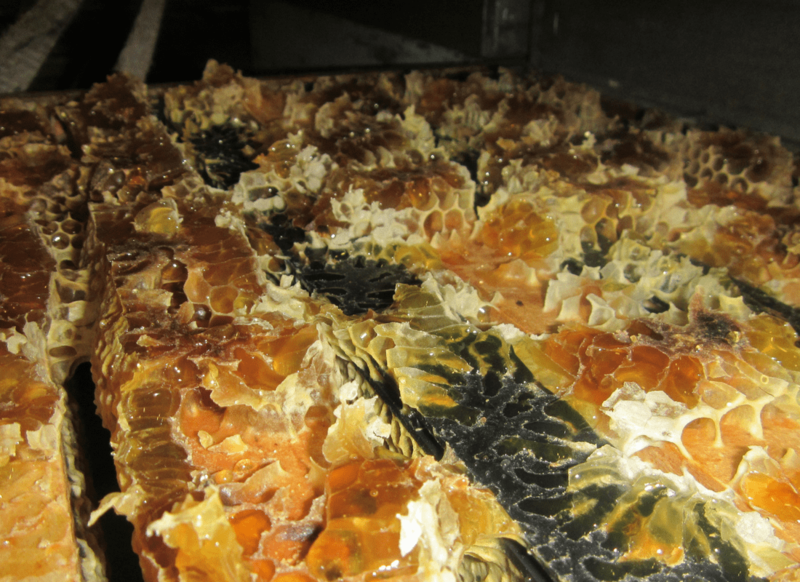 Throughout the extracting process the honey does not exceed 40 degC so to preserve the quality of the honey. With the frames of honey having the wax capping’s cut off, spun in a centrifuge, strained through gauze, then pumped to settling tanks. After settling for a day or two the packing of this now pure liquid honey is started. Some types of honeys are packed as liquid, but the majority goes straight through into a stirring tank where it is cooled to an optimum of around 14-18 degC to start the crystal formation of the honey, being stirred at the same time which prevents it going solid or forming large sugar-like granules, this honey appears white. At this stage it is packed into various sizes and containers and left in a cool store to harden off and so being called ‘creamed’ honey. Although called ‘creamed’ this product and process has nothing added or taken out, it is Pure Certified Organic Honey. Our wish is to always have a selection available of all the types of honey we produce but because of the varying seasonal factors as explained about the weather and the many issues outside our control, means that our supply in some flavours do not always last the year. The processing plant is audited and complies with export standard RMP (Risk Management Plain) re food safety hygiene, also audited that we comply with the AsureQuality Organic standards.